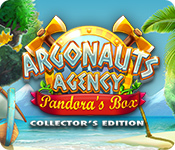 Argonauts Agency: Pandora's Box Collector's Edition is rated 3.8 out of 5 by 14. Rated 5 out of 5 by lininindy from Kept me busy!! I really liked the graphics. Fuzz out the background, and bring the important stuff clear. I don't see much of that in TM games. Not the SAME path over and over. This game had my mind going everywhere at once. I liked that a lot. Rated 5 out of 5 by Kirland from Love It! Love It! I am happy to see another Argonauts Agency time management game. What a great game. Crisp, Clear, Colorful graphics. The characters move fast. Nice relaxing music. Fun gameplay. Best of all, I purchased a fun and exciting Collector Edition game with today's discount. What more could I ask for? I recommend this game. 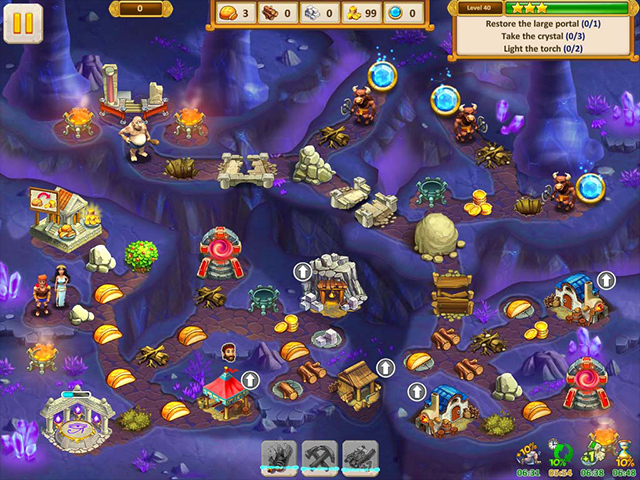 Rated 5 out of 5 by Ndwelt from Pandora's up to trouble Again This is a great game in normal although fairly easy. I am hoping for more of a challenge in Expert mode. I do enjoy the Bonus chests that you can choose after earning 5 stars. Some picks are not so nice so choose wisely. There are no collectibles but bonus chapters are offered. It is a fun game to buy on a discount day for 7.99. TY Big Fish. I suspect TM games are becoming quite popular as I see more and more of them offered. Hard to beat Dracula, Rose Riddle, Viking Bros., Hercules and my favorite Roman Adventure. But a herculean effort. Rated 4 out of 5 by creeo from Love it! I love TM games, they are my favorite genre! But I will not purchase a game where all I have to do is hover to collect goods, I'm so tired of those games... I literally play for 2 minutes and delete! That's why I saw this game through the trial period. I'm old school, so I purchased this and am looking forward to the rest of the game! Well done! 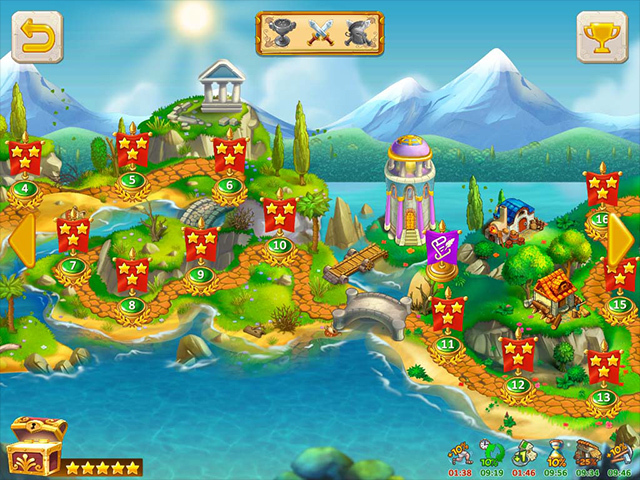 Rated 4 out of 5 by JMR2 from Great for the family I bought the Golden Fleece and it was a fun way to pass the time. Pandora's Box is very similar. This a good family game. Rated 4 out of 5 by joybelle_1 from Fruit Salad Time Management In itself this is quite a tidy little standard 'gather resources' game. The first of this series copped some flack for trying to be a rip off of the Hercules games. Well..this game is a bit more fun than the first as it has stolen some other features from other games too lol! 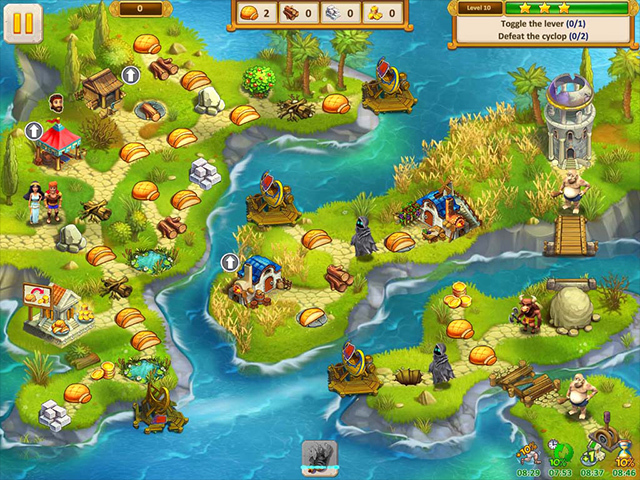 The gameplay here is smooth, and fast, and you will gather the usual wood, gold,food. So what's different? With this CE you get to choose a bonus from one of three chests each time you get five stars, (which is really reminding me of a M3 I am playing). The bonus only lasts for one level, and sometimes you get nothing. You have to guess which two of them have the prize and you don't know what it is. There are the 'standard' bonuses that appear to speed up functions and they stay always (and annoyingly jiggle at you) There is now also an alter feature that the lady uses with a golden orb that replenishes your bonus energy also. (just like a mana well would) There are also boats now that take you from island to island like in a (tribe) game. This does allow you sometimes to attack a particular island from 2 directions at once, you may or may not have to wait to 'clear the path' So there are new but not original concept features in this installment. You can click ahead and there are three modes of play including untimed. There are achievements but still no strategy guide, and I must admit I have after the trial period had to replay and change my strategy as to when and what I upgraded. But you don't really need it, just repeat. The only extras as a CE are you will get 10 more levels, music and art. I have bought this on sale and therefore its actually not a bad value game. I would be disappointed to have paid full price. So rather than just buy the SE..get this on a good sale as I have done today and its really a quite OK little TM game just a bit repetitive and unoriginal. Rated 3 out of 5 by tslack2001 from Easy Time Management Too easy for older gamers...probably good for aroune 10 years old.